All is well in golf again and the Tiger effect only tells one part of the story. As much as it is exhilarating for supporters, organisers and advertisers to see an unimpeded Woods on the prowl again, the great man’s return is a bonus in a sport that was beginning to get used to life without him. The return of the Mac, however, carries more importance to the wider game. Woods’ enforced retirement, at the age of 42, would have been a shame. For Rory McIlroy to have played his best golf by the age of 28 would have been a downright sporting tragedy. At the Arnold Palmer Invitational, the Northern Irishman ended a victory drought that lasted 539 days which, for a player of his talent and youth, did not bode well for the future of the game. McIlroy’s star will never burn as bright as Tiger’s supernova in the early 2000s, of course. But if Rory had imploded for good, it would have only added to the vacuum of personalities at the very top. Jordan Spieth has the talent, Jon Rahm is giving it a good go and everyone loves Sergio Garcia. Henrik Stenson and Justin Rose are exceedingly nice and gifted men. None of those names would feel right on the cover of the latest PGA Tour game, or as the poster boy of a brand like Nike. Which it is why it was so worrying when a combination of rib and back injuries curtailed McIlroy’s 2017. The ultimate athlete, like Tiger, and consequently more susceptible to injury, like Tiger. Woods revolutionised the image of golfers from expert operators in the bodies of Average Joes to role models who could look just as impressive on the cover of GQ as on the PGA fairways. Past, present and future: Tiger Woods and Rory McIlroy. With increased muscle and agility came increased torque and power. But just as most muscle cars are not known for their reliability, highly-tuned human machines also break down. 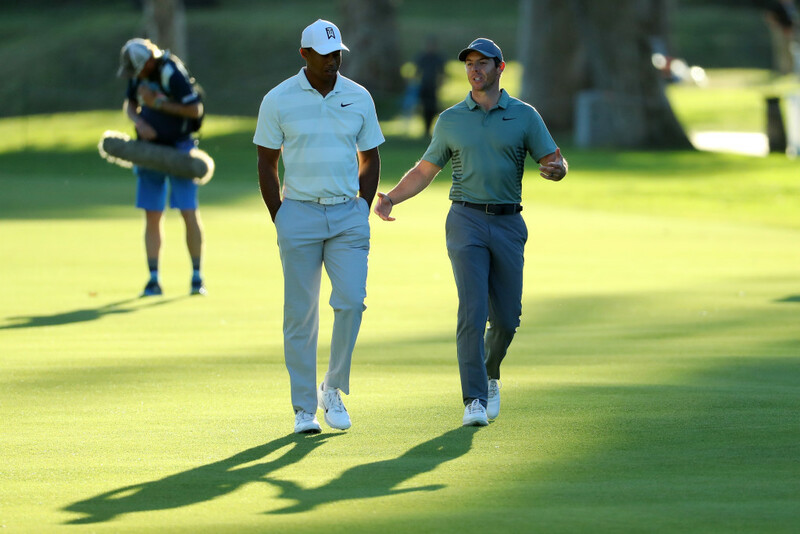 Woods was forced to undergo a knee operation because of the stresses he put his body through at around the same age as McIlroy. The return to form is welcome, but surgery after surgery can only mean that his body is old before its time. 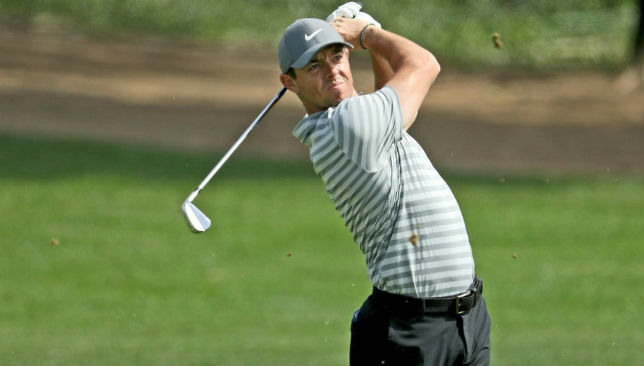 These are lessons that McIlroy, back up to No7 in the world, would do well to heed. His victory on Sunday came after his seventh tournament in nine weeks – a schedule as hectic as it has ever been. Palmer, a seven-time major winner, won at least one PGA Tour competition every year between 1955 and 1971. Given that McIlroy is still committed to playing many European Tour events, a tour that did not exist until 1972, he is putting his body through the wringer far more than Palmer would have ever dreamed of doing. For now, ‘Wee Mac’ is looking back to somewhere near his best after slogging through the Valspar Championship looking nothing like it just a week ago. It’s a measure of his talent that he can reel off five birdies over the last six holes at Bay Hill when his putting had looked so badly out of whack for most of the year to date. His accuracy off the tee could do with some work and he could do without relying on his powers of recovery so much – but that he can overcome all of that and win is a golden sign ahead of his Green Jacket hunt in two weeks’ time. Most of the cameras will be following Tiger around Augusta, but his revival will likely only be fleeting. And when McIlroy is in his 40s, even a healthy Woods will be serenading the senior tours by then. We can only hope that the greens will still be dancing to Rory’s tune. It put him three shots ahead of his nearest rival Bryson DeChambeau, and ensured he will be among the leading contenders at next month’s Masters. The Northern Irishman told Sky Sports golf: “I played a perfect round of golf. 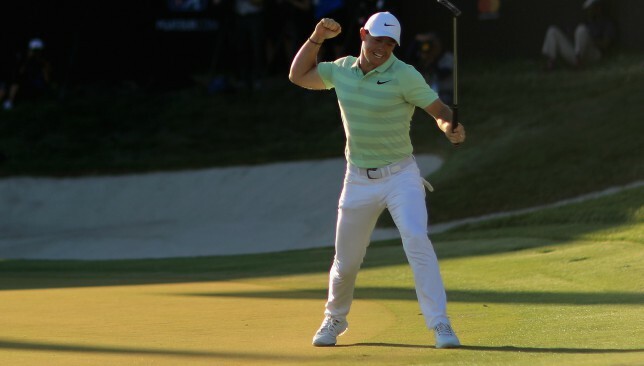 A particularly impressive 18th hole saw McIlroy hole a putt from more than 25 feet – prompting him to raise his arms aloft in celebration. Paying tribute to the tournament’s namesake, he said: “To be able to create my own little piece of history on the 18th green here was pretty special. McIlroy’s last victory came in September 2016 when he won the FedEx Cup. There he had carded a final round of 64 – on the same day that Arnold Palmer died. In his post-tournament press conference he said: “For me to get my next win here, it means a lot. I’ve had quite a connection with Arnold Palmer. “He was always so nice to me – I’ve got so many letters from him from wins. I wish he would have been at the top of the hill to shake my hand when I came off the 18th green, but hopefully he is proud of me with the way I played that back nine. Jack Nicklaus congratulated McIlroy on Twitter – and said Palmer would have been “very proud”. 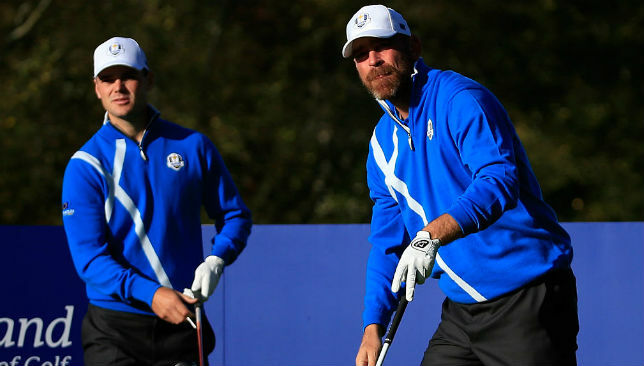 Thomas Bjorn has labeled Rory McIlroy “dangerous”, with the European Ryder Cup captain admitting he’s been buoyed by the world number 11’s impressive form in the early weeks of 2018. 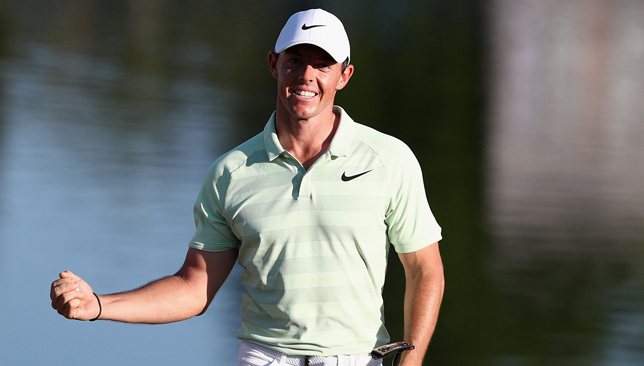 Much has been made of McIlroy’s much-hyped return in the UAE this month, following a three-month injury absence. The 28-year-old Northern Irishman played at the Abu Dhabi HSBC Championship and at the Omega Dubai Desert Classic, and looked fit, healthy and at ease with his swing having curtailed his 2017 season following the Alfred Dunhill Links Championship in October. A niggling rib injury was the reason given by the 28-year-old for cutting short his campaign, although ahead of his long-awaited return in Abu Dhabi, McIlroy also revealed he had also been dealing with a minor heart irregularity. Neither that or an extended break from the game seem to have left him rusty as the four-time major winner finished tied third in the capital, before missing out on a third Dubai title by one stroke as he had to settle for second place at Emirates Golf Club behind China’s Li Haotong. He really should have lifted that third title as he led by two shots after the 10th hole of the final round on the Majlis course, but Bjorn is hugely encouraged by the early performances of a man who will surely be a key figure in his Ryder Cup squad in September. “The most encouraging thing I think is that Rory’s in a place where you feel he wants to play a lot of golf. And in that position, he’s a very dangerous as a golfer,” Bjorn told Sport360 at Saadiyat Beach Golf Club in Abu Dhabi, where he was playing in the Gary Player Invitational. McIlroy hasn’t won a title since the 2016 Tour Championship 16 months ago, while he hasn’t tasted major success since 2014’s PGA Championship. His win-less 2017 was the first year since turning professional in 2009 he failed to taste victory, but Bjorn believes the County Down native has rediscovered his form and fire. “I’m sure he will go away from the Middle East with the situations he got himself in, that he maybe wanted a little more,” added the Dane, 46. “But in general it was two fantastic weeks and it shows a lot about his talent and character that he comes out after such a long layoff and is ready to play with the best in the world. “It’s hard not to predict great things for him this year, especially because there’s a smile on his face, a willingness to play golf and wanting to be there. When Rory McIlroy’s in a good place with everything, he’s a very difficult competitor to deal with. “I think we make a lot out of Rory and we talk a lot about him. He’s a wonderful golfer and he obviously struggled with his injuries last year, and always feeling like he was probably a little bit behind when he got to tournaments.